Jack O’lanterns are always orange. On Wednesday, 8th August, 2018 little toddlers of Nursery at Witty International School, Udaipur were introduced to a new colour “ Orange”. Orange colour is a combination of Red and Yellow colours. The teachers and children came dressed in orange coloured clothes. The wall was beautifully painted with orange coloured objects. There were also some orange objects displayed on the table. Children enjoyed discussing about various objects that are of orange colour. The teachers also did an experiment with red and yellow colour paints to introduce orange colour. 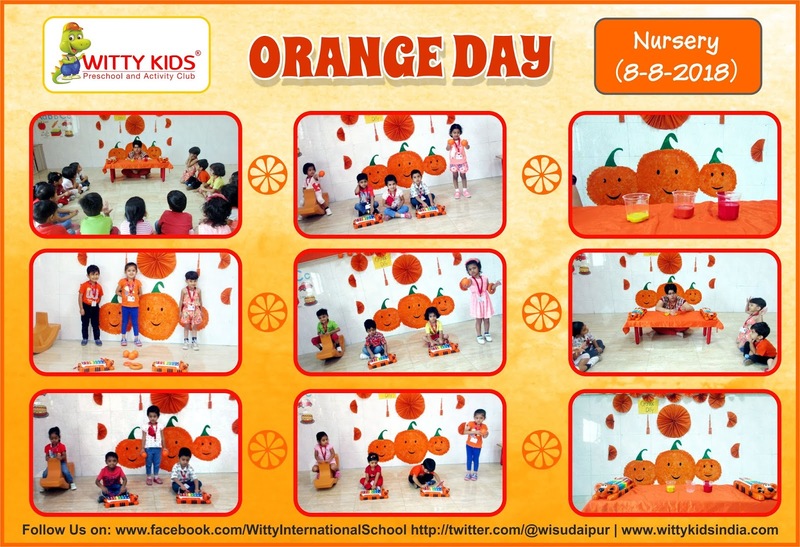 Thus, children had fun in learning the new colour “ ORANGE”.